Plant ecophysiology is an experimental science that seeks to describe the physiological mechanisms that underlie ecological observations. 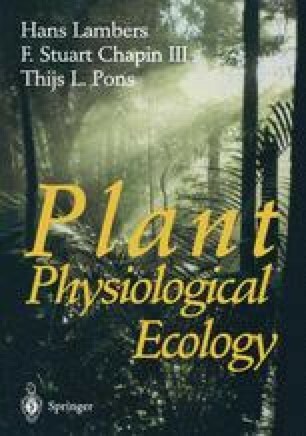 In other words, ecophysiologists, or physiological ecologists, address ecological questions about the controls over the growth, reproduction, survival, abundance, and geographical distribution of plants as these processes are affected by the interactions between plants with their physical, chemical, and biotic environment. These ecophysiological patterns and mechanisms can help us to understand the functional significance of specific plant traits and their evolutionarv heritage.